"I need suggestions on how to help my child fall asleep and stay asleep! It takes him a long time to settle down, and even when he finally gets to sleep, it's not long before he wakes up and we start the whole process all over again." Studies find that approximately 73% of young people on the autism spectrum experience sleep problems, and these problems tend to last longer in this group than they do for kids without the disorder. For example, kids on the spectrum are more likely to be sluggish and disoriented after waking. Laboratory research has begun to describe the unique physiological presentation associated with sleep problems in these children, including disruptions in the sleep stage most associated with cognitive functioning (i.e. REM or Rapid Eye Movement sleep). In addition to physiological differences, some of the sleep difficulties in this population may be related to anxiety. The impact of poor sleep is unequivocal. Poor sleep negatively impacts mood and exacerbates selective attention problems commonly found in kids with Aspergers and High-Functioning Autism, as well as impairing other aspects of cognitive function. 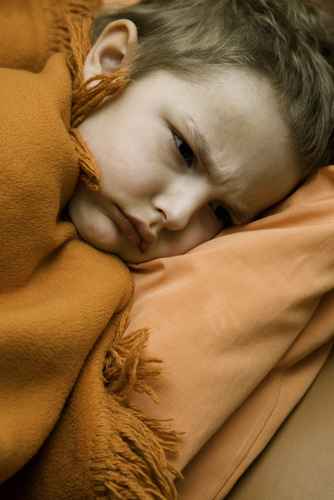 There is no one panacea to manage sleep problems for these children. However, there are many interventions that are likely to be helpful. In general, moms and dads need to understand and be prepared for resistance to change that these “special needs” kids often show. Parents should also be prepared for problems to get worse before they get better as kids often initially challenge - but then gradually become accustomed to - new routines. Many children with Aspergers and High-Functioning Autism (HFA) have problems sleeping through the night or getting to sleep due in large part to sensory issues. Sensory dysfunction is typically an issue for kids on the autism spectrum. Many moms and dads are forced to try medications, or natural supplements (e.g., melatonin) to try to regulate sleep patterns. These may be beneficial. Sensory integration therapists also may develop a sensory "diet," which may include a variety motor activities (e.g., spinning, bouncing, swinging, squeezing balls or silly putty, etc. ), as well as therapist-provided interventions such as brushing and compressing arms and legs. The idea is that this "diet" will be provided throughout the day, whether by trained therapists, by the child’s teacher, or by the child’s parent. • Anonymous said... A friend of mine uses melatonin, for her son and has done for few years now. They use a low dose and only on school nights, never in holidays or fri or sat night. tThis is a godsend for them as he was only sleeping a couple of hours a night. • Anonymous said... A good routine, dont rush them and my best friend Melatonin. Its been shown that asd kids produce much less melatonin than their peers. Hideously expensive here in the uk and hard to get in the uk prescription only £200+ for a months supply but over the counter in the usa for $15 three months worth. Go figure. • Anonymous said... Chamomile tea, warm bath, aromatherapy, benadryl......any combination of the above. • Anonymous said... melatonin has been a life-saver for us! Talk with your dr. but there's usually no issues whatsoever. My aspie/severe SPD kiddo was the same way...up and down all night long. We started him on 3 mgs and that would help him drift off but he kept waking all night still. So we upped to dose to 6 mgs and that has worked awesome! Finally we can ALL get some rest!! • Anonymous said... Melatonin no side effects, safe. We noticed a huge difference in daytime behavior right away as well, a good nights rest is amazing. • Anonymous said... My aspie takes medications. He struggled with sleeping for awhile, but now with meds he sleeps better and is less irritable. • Anonymous said... My son will sit in the bathroom until he is calmed down enough to go to sleep. Sometimes it's an hour. • Anonymous said... our 5 yr old has same problem. In the beginning, we avoided medication. We tried aromatherapy, soothing bath + massage, classical music, etc., but nothing worked. He would sleep for 45 min., then jump to his feet in bed while screaming scared out of his mind. This would happen 2-3 times every night. After 1 yr. of minimal sleep, we had our son's Pediatric Behavioral Specialist prescribe him medication to aide in his sleep &amp; help w/anxiety. He put him on Guanfacine 1/2 tablet at night. It also helps calm him due to severe anxiety. He's been on it for 2 yrs &amp; it has done wonders for him. He's never had any side-effects from this medicine. Good luck in finding the best method for your child. I'll be praying for your son &amp; your family! • Anonymous said... Physical activity helps, particularly yoga and gardening. As a last resort use melatonin and of course cannabidiol. • Anonymous said... Routine . Routine . Routine . Then he will still wake up tho about every few hours . My son is 13 . At age four we started clondine . Till he was about 7 then seroquel for a year . Off and on meletonin . It's not good for all night staying asleep . We tried trazadone also . Actually to get him to naturally stay asleep will take him getting older . My son at 13 can and will go to bed, early actually, and stay asleep with usually nothing . Ambilify in morning now and orap at night . But because he active and older its much much better . No problems with sleep at this time ! Good luck , just be patient and get help so YOU can get rest ! I'm catching up on mine during these "slow" years lol things have leveled out for now , as much as they can anyways . Never a dull moment that's for sure ! • Anonymous said... We have used clonidine for the last 4 years. It has made a world of difference in our family. We have not noticed any negative side effects. • Anonymous said... We start our bedtime ritual an hour early. It includes bathroom, changing clothes, brushing teeth, etc. in the same sequence every night (the process is prompted by "ten minutes to bedtime.....5 minutes to bedtime....."). All of this is navigated/ motivated by reward. For us it is a book of his choosing and prayers from mom and dad. If he chooses to be uncooperative or takes too long playing in the bathroom sink, he is reminded he may be losing his book time. Also, we have always told him that he didn't have to go right to sleep if he is not tired, but he did have to stay in his bed and rest. He always goes to sleep within a reasonable time. • Anonymous said... We used melatonin for almost a year but he started waking up and it became ineffective. So we brain stormed, as usual, and now we do our best to get some of his energy out. We do stretches. We put him in a long shower or bath depending on how he is feeling. I rub lavender baby oil on his legs and feet and neck. It has seemed to be more effective. • Anonymous said... We used to have the same issue. Still do from time to time but it's rare now. Our Dr.told.US to try melatonin . It's natural over over the counter. Found with vitamins and supplements. It helped.a lot! The trick is finding the routine that works. We went through a lot of trial and error. After several years of melatonin, she was able to power through it and it no longer worked. We struggled for a while and then found that a sound machine, a diffuser with calming essential oil, 3mg of melatonin and rolling her tightly in her favorite blanket works. If we miss one of these components - it doesn't work.